Two years ago Andrew Butchart and Jonny Glen pulled on Scotland vests for age group races in a relatively low-key Celtic XC International meeting in Cardiff. Now both Scots could be China-bound with team GB and NI for the World Cross Champs in Guiyang at the end of March. It is fair to say they haven’t wasted the intervening 26 months since those snow-bound runs in the Welsh capital at U23 and U20 level in January 2013. Glen’s passport from Greenock to Guiyang is already stamped with the 18-year-old pride of Inverclyde claiming second place at the Inter-Counties in Birmingham to win an automatic slot with Britain’s Junior Men. Jonny also won the overall British Cross Challenge Series. Butchart’s situation is more complicated, given the British Athletics selection policy about athletes ‘capapble of a top 30 finish in this of future World Cross events’ . . . but what is clear is the Scottish National XC winner has ripped open the door. 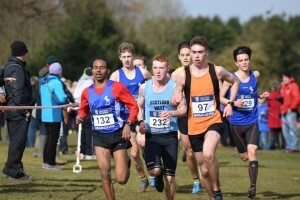 The Central AC athlete, running for Scotland East, trumped British Cross Series leader Adam Hickey, Welsh National champion Dewi Griffiths and English national winner Charlie Hulson in Birmingham to win the Inter-Counties title and a top prize on the day of £2000. 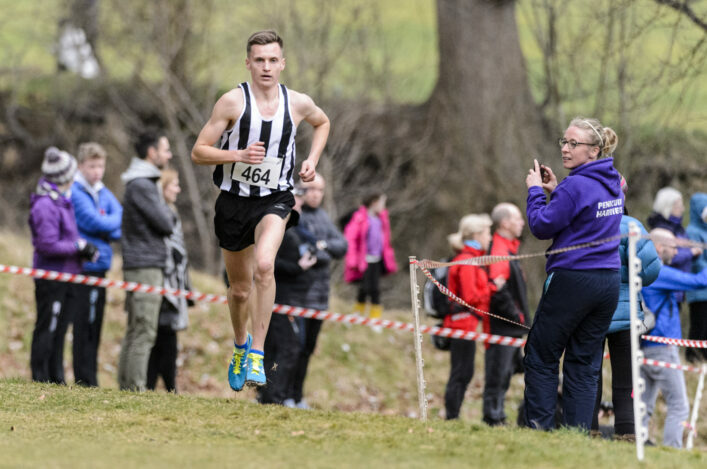 Butchart just missed out on the overall Series – fifth-placed Hickey won it by one point – and it is believed his Cofton Park success was the first for a Scot in the Senior Men’s race in a fixture which is effectively the final of the British XC season. Now he can only sit back and wait, as the selection deliberations take place this week, in the hope he can fulfil coach Derek Easton’s forecast that his progress really can be ‘quite exciting’ after a thrilling winter campaign which has included a 10k win on the road in Leeds and a 3000m PB at the British Indoors. In fact, he was sitting in the back of an event supplier’s van later in the day as he hitched a lift to Newcastle. Andrew had to wait 90 minutes for drugs testing at Cofton Park and with the Scotland East bus having headed north, he was due to take a train when offered the across-country lift. Was this an appropriate way to travel, though, for the Inter-Counties champion? ‘What a day, what a race, it couldn’t have gone any better,’ said Butchart, who is coached by Derek Easton and who saw his Scotland East team finish fifth. ‘I’m just glad to get the job done. This is the place to win isn’t it? It was a tactical race. I thought, rather than going out hard like I did in Milton Keynes, I would take a step back. Glen finished second to Joe Steward and was thrilled that a third GB vest this season, after appearances at the Euro Cross and the Great Edinburgh XC, will come following a flight to China. For good measure, Jonny picked up the overall Series win as well, with pre-race leader Jac Hopkins dropping out on Saturday. ‘I’m absolutely delighted; I can’t put it into words,’ said apprentice electrician Jonny, who is coached by Mark Pollard. 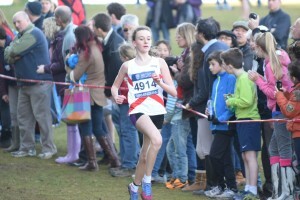 While Butchart and Glen impressed in an individual sense, they were far from alone in terms of good performances by Scottish athletes at Cofton Park. 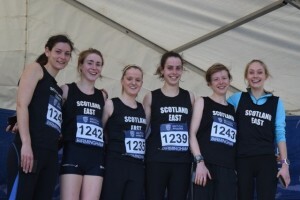 The ‘raiding party’ numbered around 50 and a dozen or more came home with individual and team medals on another day which proved emphatically that the Scottish endurance scene is in burgeoning health. Edinburgh AC’s Maddie Murray, who won the National XC at Falkirk a couple of weeks ago, finished eighth in the Senior Women’s race. Maddie was backed up by Charlotte Morgan (31), Rachael Dunn (38), Mhairi Maclennan (41), Fiona Thompson (54), Kirstin Maxwell (82). That probably won’t be enough in terms of consideration for China but it definitely helped Scotland East Senior Women to bronze medals in the team race. The Scotland East women won silver last year and with only Rachael Dunn involved in both teams, there’s a real sign of depth there which is encouraging. The Scotland West Men took silver at U20 with second-placed Glen assisted by Euan Gillham (8), Ryan Thomson (20) and Craig Jardine (25), while the Scotland East U17 men took bronze led by Alex Carcas at 18th place. Alex was backed up by Sol Sweeney (21), Joe Arthur (26) and Ben Greenwood (32). Like Gillham in the Men’s U20, Kathryn Gillespie went desperately close to World Cross consideration, too, as she finished seventh for a decent effort by the Scottish U20 champion. 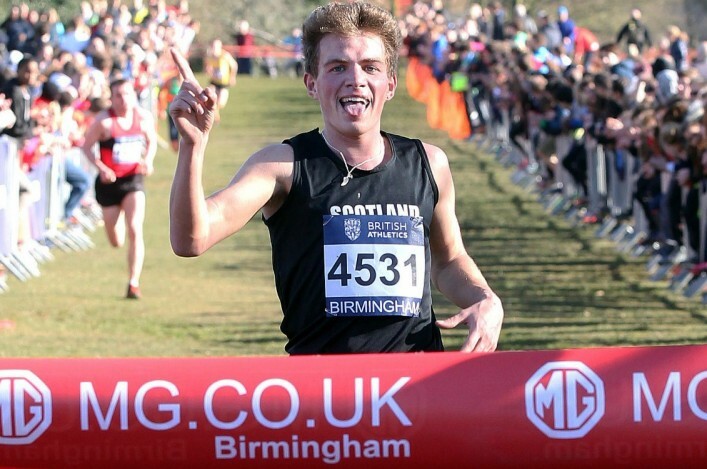 Scotland North’s Connor Maclean, the Scottish U17 champion, moved up to U20 and ran well to record 17th place finish. Scotland East’s Aidan Thompson was 23rd in that race, so there were six Scots in the top 25 at U20 Men which reflects well on that group. 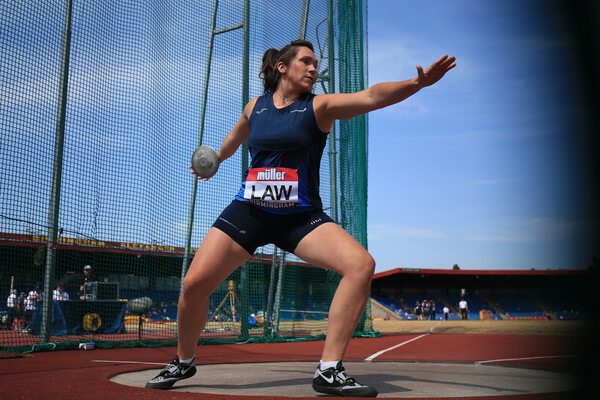 Scotland West’s Gillian Black was the best-placed Scot at U17 level and, in that age group, there was a fine second place overall in the Series for Ayr Seaforth’s Kirstin Oakley. Down the age groups, there was a first place in the overall U13 series for Emma Frew of Ayr Seaforth. *British Athletics say they will be posting more information soon on their website.